Within the Temple of Hathor, which is part of the Dendera (Tentyra) Temple Complex in Egypt, are a series of carvings that many people believe depict the sophisticated use of electricity to generate light. Items identified are as follows: an arc light lamp (horizontal) several upright lamps, lamp socket, arc light flicker (snake) electric cables, an isolator and even a large upright battery. If historians and archaeologists believed that the Egyptians from this period used electricity then this would probably be considered a classic example. A further point that is often overlooked is that Hathor was a goddess who is usually shown with a sun disk suspended between two horns exactly like the reflecting mirror of an arc-lamp – even the dimensions are optimal. Although the equipment in the images may seem obvious it should also be noted that many historians, archaeologists and Egyptologists strongly deny that the images are anything more than the representation of a fertility rite based on Egyptian mythology. 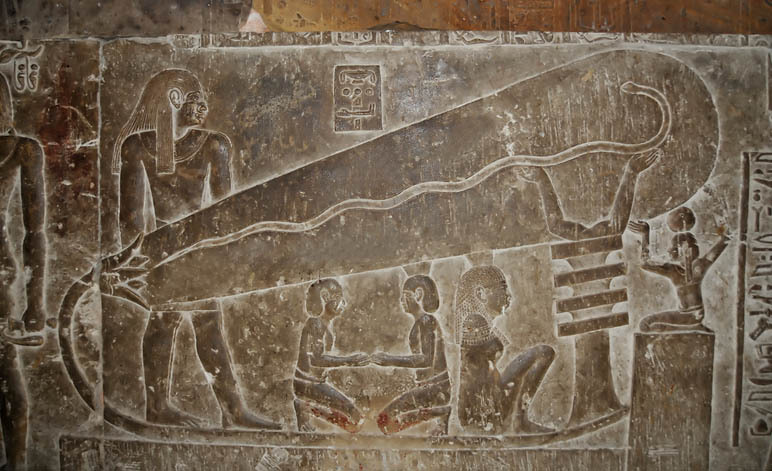 Proponents of the ‘lights’ theory are often dismissed as fringe scientists while mainstream Egyptologists are often accused of hiding behind conveniently concocted myths and retentive thinking. Both groups seem certain in their beliefs. From the point of view of the proponents of the ‘lights’ theory the beam can be see emerging from the lotus flower socket. A cable appears to run from the battery via the isolator to the lamp. Under the light are people engaged in activities made possible by the illumination. The snake is often referred to as a lamp filament but, if the lights are real, is more likely to represent the flickering of the arc light. There are other pictures on the internet that are even more suggestive and it is worth reviewing them if you are interested in this subject. Real or imagined – you decide? There can be no doubt that ancient civilizations were aware of static electricity even if they may not have fully understood it. They also appreciated the godlike power of lightning and must have been curious to observe this effect replicated in miniature when the fur of a cat was rubbed against certain materials in a darkened room. The effects of static electricity were first recorded by a Greek philosopher, Thales of Miletus, who lived between 624 BC and 546 BC. He is said to have experimented with amber, which the Greeks referred to as Elektron, and cat fur to create an electrical discharge as well as magnetism. 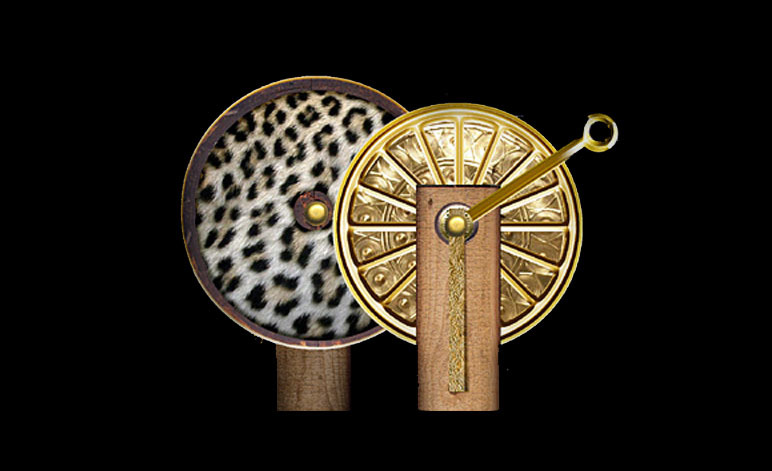 From this observation a simple machine consisting of two spinning disks, one covered with leopard fur and one coated with glass or amber could be connected to gold axles and foil strips which would produce an electrical charge capable of generating sparks several inches in length. By spinning the disks in opposite directions a static electrical charge could be transferred to the gold foil strips to create visible sparks. 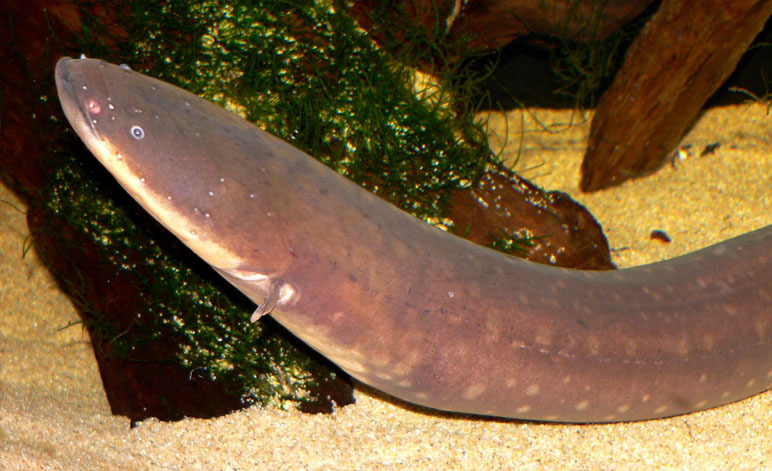 Although it looks like an eel, Electrophorus Electricus is actually a Knife Fish that is able to generate and deliver significant electric shocks of up to 600 volts. The ancient Egyptians referred to an electric catfish, Malapterurus Electricus, as the “Thunderer of the Nile” which indicates that they had already made the connection to storm-related atmospheric discharges – lightning. According to various sources the Greeks and Romans were familiar with these creatures and may well have bred them in captivity. Historic records show that they were certainly farming many other types of exotic fish both for food and for amusement. Scribonus Largus, a physician at the court of the Roman Emperor Claudius (c.47AD), is reported to have written that these ‘torpedo fish’ could be used to treat a wide variety of ailments. They were used to numb the feet of gout sufferers as well as those suffering from persistent headaches. If this is true then this is the first recorded use of shock therapy. As recently as 2009 doctors in Boston have been successfully experimenting with electric currents to block migraines. The Knife Fish of South America is capable of delivering between 500 – 600 volts of electricity. The Nile (Electric) Catfish, Malapterurus Electricus, is capable of delivering approximately 350 volts. Photo credit: Wikimedia Commons: Steinhart Aquarium – Photographer: Stan Shebs – 2005. In 1938 the Director of the National Museum of Iraq, Wilhelm König, discovered a number of curious terracotta pots in the archives. Each one was approximately 13 cm in height with a capped 3.3 cm opening at the top. Each pot contained an open-ended copper cylinder and inside this was a small iron rod. These artefacts strongly resembled simple galvanic batteries and in 1940 König published a scientific paper proposing that these objects may well have been used to generate electrical current which could have been used for electroplating objects with either gold or silver. Mainstream archaeologists continue to doubt this theory even though reproductions using lemon juice as an electrolyte have been proven to work and no other sensible explanation exists for the iron and copper contents. The pots are likely to have been created during the Sassanid Period (224 AD – 640 AD). The debate continues. (Image) Discovered in the archives of the National Museum of Iraq in 1938. Believed to have been originally excavated in 1936 in the village of Khuyut Rabbou’a. Capable of generating between 0.75 and 1.1 volts. 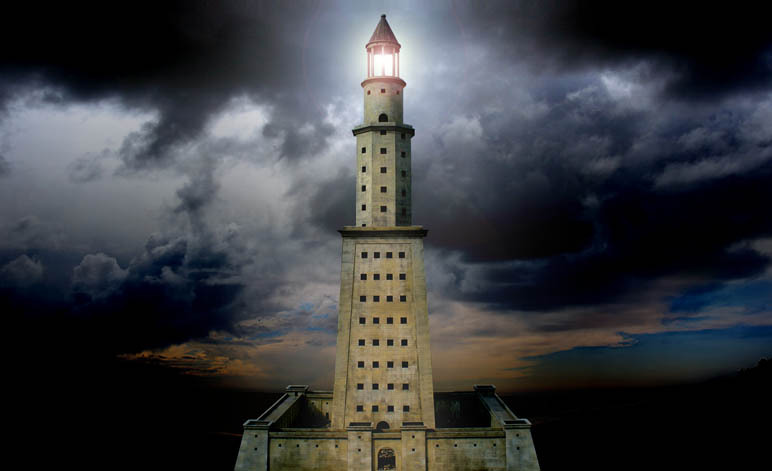 Considered to be one of the seven wonders of the ancient world, construction of the 130m tall Pharos Lighthouse probably began around 280 BC on a small island just off the coast of Alexandria, Egypt. Originally commissioned by the Macedonian general, Ptolemy Soter who became ruler of Egypt after the death of Alexander the Great, it was completed during the reign of his son Ptolemy Philadelphos. Today the island of Pharos has become part of the mainland and shields a natural harbour. The building was erected to house a brilliant light to assist ships to find the port at night. Historic reports claim that the light could be seen nearly thirty miles out to sea and that it housed a beam so bright that could blind sailors and burn enemy ships. This has given rise to the theory that only an electrical arc lamp and a huge concave mirror could have created this effect. Proponents of this theory admit that the source of the power is a mystery but that an electric light is the only possible explanation for the extraordinary intensity of the lamp. The lighthouse survived from 247 BC to 1303 AD when it was severely damaged in an earthquake. By 1408 it was simply a pile of rubble which was then used to build a medieval fortress by Al-Ashraf Sayf al-Din Qa’it Bay, the Mamluk Sultan of Egypt, which remains standing today. It is possible to still visit Qaitbay Castle. Roughly 450 kilometres south of Cairo is the ancient city-complex of Abydos. It is widely considered to be one of the most important archaeological sites in Egypt although for some quite differing reasons. Mainstream Egyptologists recognise it as the site of the Osiris and Isis cult while proponents of ancient electricity believe it holds definite proof that ancient civilisations were significantly more advanced than historians will acknowledge. 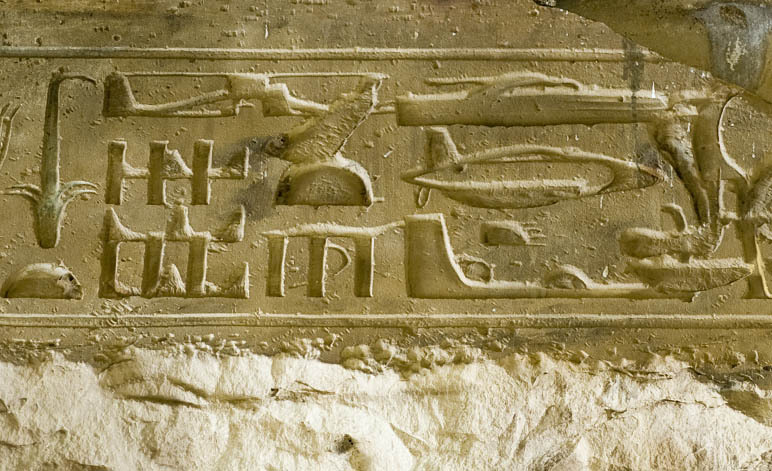 The reason for this is that within the Hypostyle Hall of the Temple of Seti I there are a series of carvings that clearly depict modern aircraft, particularly a helicopter and dirigible. Mainstream archaeologists claim that they are merely a coincidence caused by over-carving while proponents of ancient technology state that this is actually misleading and that attempts to recreate the over-carving effect have been less than conclusive. In addition, they point out that the coincidence required to produce these images is staggeringly unlikely. The area around the town of Olancha in California, America, is popular destination for ‘rock hunters’ and attracts both professional and amateur geologists. On Monday the 13th February 1961 three geode collectors, Wallace Lane, Mike Mikesell and Virginia Maxey discovered an interesting specimen which Mike Mikesell took home and cut in half with a diamond edged saw. 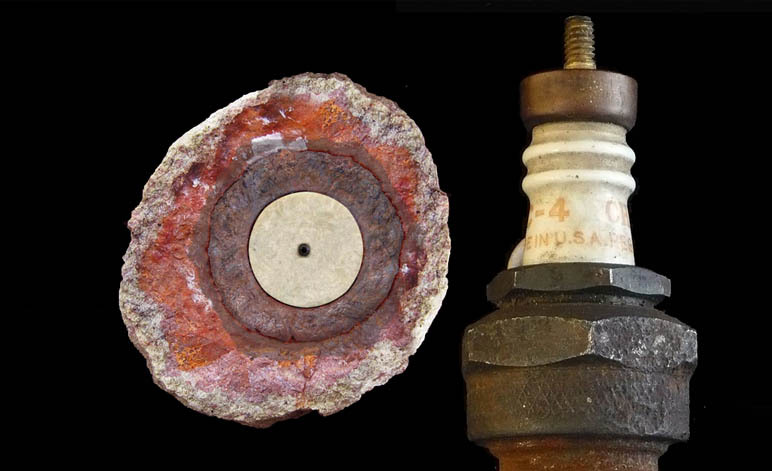 Inside the specimen he discovered what appeared to be an off-white ceramic cylinder with a small metal core running through the centre – in short, a sparkplug. According to Ms. Maxey the specimen was examined by a professional geologist who estimated that the casing was at least 500,000 years old. The identity of the geologist has never been revealed. The discovery caused significant controversy with some experts claiming that the rock was nothing more than a ‘concretion’ of rust and localised fossils. Perhaps because of the controversy the finders refused to further display or discuss the artefact after 1969. The location of the artefact is currently unknown as are the people who found it although it is believed that Lane passed away in 2008. Image: Named after the Coso Mountain Range where it was found above the Owens Dry Lake on the edge of Death Valley. X-rays of the Coso artefact revealed additional pieces that the Spark Plug Collectors of America identified as parts of a 1920’s spark plug or something similar. Aurelius Augustine was born in North Africa in 354 AD and spent much of his early life dedicated to passionate pursuits, philosophy and academic studies. At the age of 32 he became a Christian and after some time in Rome he journeyed to Hippo Regius (near modern day Annaba) in Tunisia where he was persuaded to become first a priest and later Bishop of the town. He remained an academic at heart and was one of the most prolific writers of his time. In his work, City of God, (book 11 chapter 6) he describes a temple in Egypt dedicated to Venus (Isis) in which there is a lamp that requires an asbestos base and is completely unaffected by the weather. The correct translation is under the picture to the left. It worth pointing out that some websites misquote this passage to emphasise the argument while others suggest that Augustine himself visited the temple. In fact, Augustine was referring to books written by earlier travellers. However, the story is intriguing and was considered relevant enough to be selected as an example by the Bishop. St. Augustine suggested that the lamp might have been the work of corrupted men or even a resident demon. According to the Old Testament, which records the history of the Abrahamic religions, God summoned Moses to Mount Sinai (Horeb) and gave him the Ten Commandments inscribed on two tablets of stone . This list of divine laws specified the way in which the people were to live their lives. Five of these laws form the basis of all modern legal systems. To store the stone tablets the people of Moses built a chest according to specific instructions provided to them by God. This was to be the Ark of the Covenant and since its construction there have been countless references to its ‘power’ such as its ability to part waters, to destroy buildings such as the walls of Jericho and to emit beams of light sometimes referred to as the power of God. Based on descriptions found in the Old Testament a number of researchers now believe that the wings of the cherub may have acted like an arc lamp or as two electrical charged poles that could induce a sense of the divine. This proposal was recently featured on the Discovery Channel’s Myth Busters programme and found plausible. Said to have extraordinary powers. May have been an arc lamp. Featured in Episode 29 of Mythbusters, a Discovery Channel programme first broadcast on the 23rd March 2005. 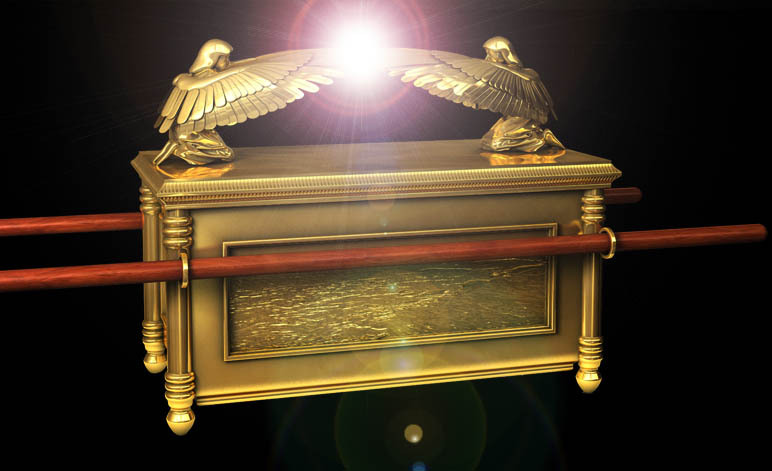 The Ark of the Covenant has been lost for many centuries and may have been removed from the Temple of Solomon during the Babylonian conquest of Jerusalem in 587 BC. 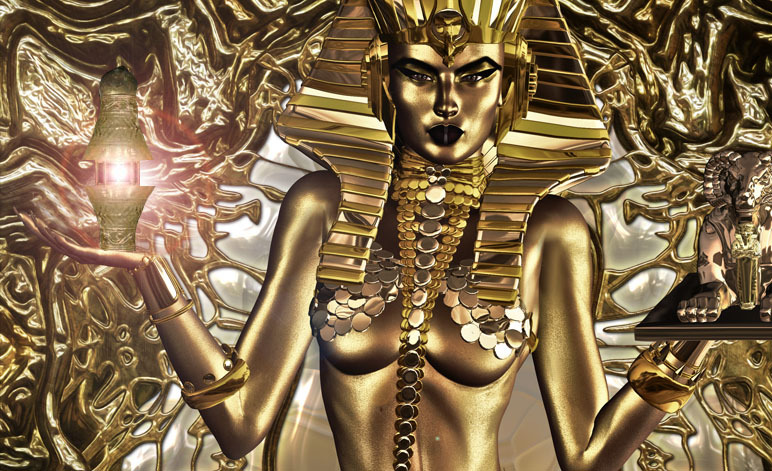 Was electroplating possible in ancient times? Over the centuries a number of artefacts ranging from coins to small religious statues have been discovered with very thin coatings of gold or silver that is typical of modern electroplating techniques. In 1938 Wilhelm König, the Director of the National Museum of Iraq, discovered a series of small objects that strongly suggested the use of electroplating using electrical current rather than the less effective electrochemical process. 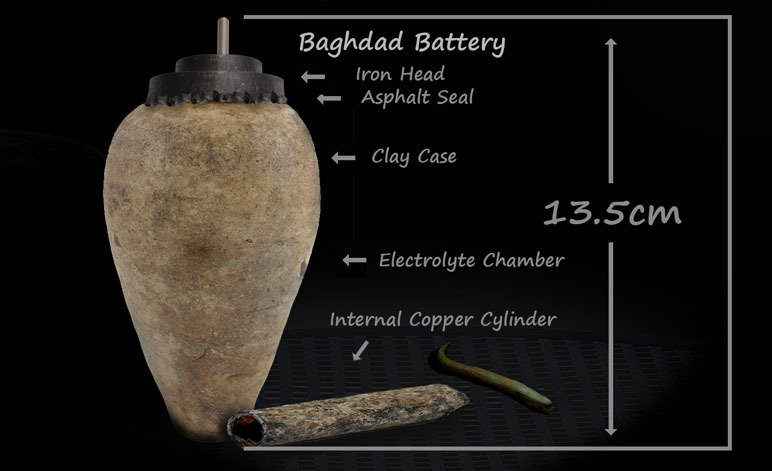 Several small vases dating from 2,500BC appeared to have been electroplated and were kept at the Baghdad museum. In 1851 archaeologist August Mariette claimed to have found electroplated objects at a dig near the Sphinx in Egypt. 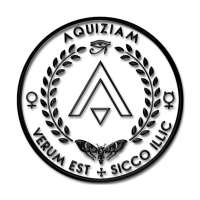 In 2006 Stefano Natali and Giuseppe Giovannelli of the University of Rome discovered a coin that had been deliberated plated with silver around 250 BC to create a forgery. 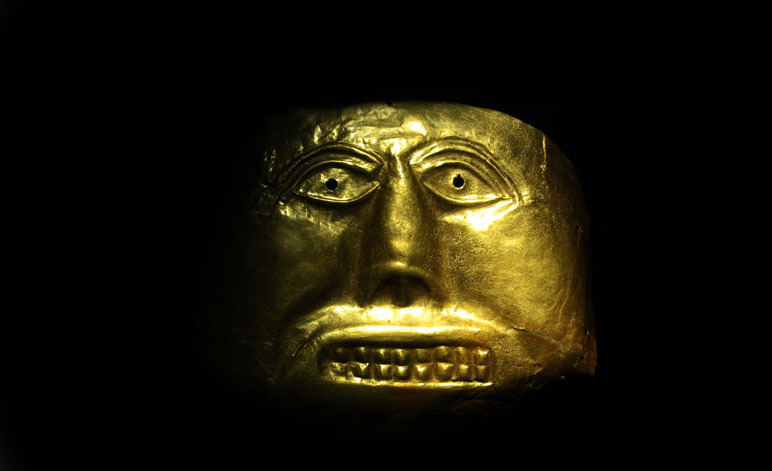 A number of pre-Columbian golden artefacts show traces of plated surfaces. There are undoubtedly many more items in the collections of the great museums that may well turn out to have been electroplated rather than solid gold or silver items. It is fair to point out that there are techniques that can mimic electroplating. The first is electro-deposition which is possible without an electric current and the Tumbaga process that involves the production of a seemingly pure gold object even though it has a high percentage of copper. To achieve this the surface copper is oxidised and dissolved leaving only a gold coating which is polished into a plated surface.